It seems that the Filipino's favorite fast food chain Jollibee is changing its name in China. Facebook page "Hokage Thoughts" posted a picture of a Chinese fast-food chain, almost similar to the famous Jollibee store . It could be seen in the viral video the Jollibee's logo in a yellow back-draft however, the establishment was named JoyRulBee. Jollibee's original red color and the happy bee even copied by this establishment. 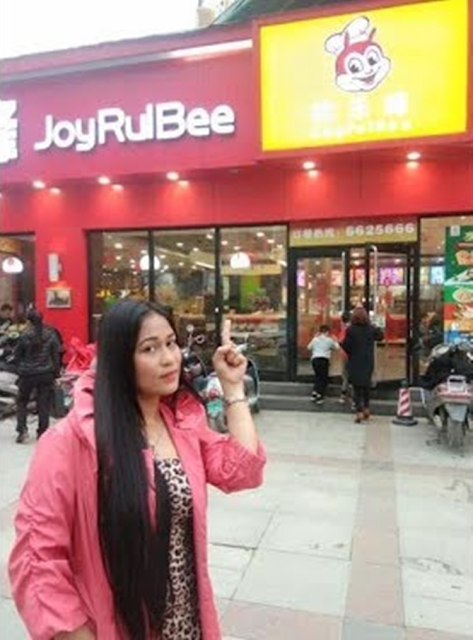 JoyRulBee also serving the same food choices that the Jollibee offered, at a first glance you may find the establishment to be the Filipino's fast food chain. Jollibee is a Filipino multinational chain of fast food restaurant with at least a total of about 1,200 Jollibee outlets worldwide with presence in Southeast Asia, Middle East, Hong Kong, North America, and the UK London. The video quickly gained interest to social media world and the exchange of comments continues to grow. @Sander Villaruel:"Bingot and potek! 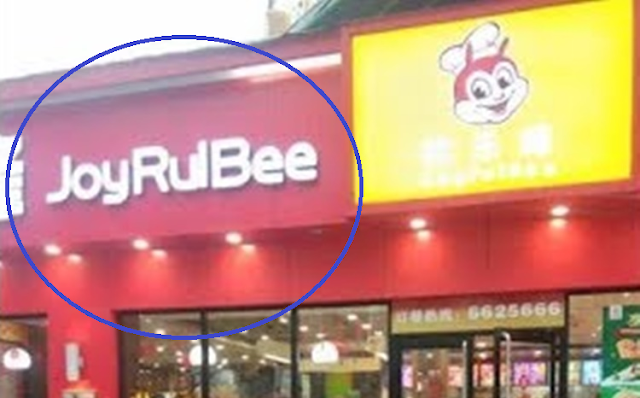 branch yan ng jollibee sa china.. Haha Kopyang kopya daw haha bingot"
One comment: Em Em: "cguro.. Franchise yan...bli name lang pinalitan..atska same yung menu..ksi..pwede ka mag franchise its up to u if papalitan mo ung name o hindi..."